Don’t get me wrong, I adore my new travelling companion but patience is not her strong point so queues and delays are met with toddler tantrums. Ruby first flew at 6 months, she slept all the way there (winning) and screamed all the way back. Luckily the flight was relatively short and we all lived to tell the tale. We didn’t fly again together until she was over a year old, this flight was better as she could eat/drink and watch Peppa (what would we do without that pig sometimes!). We still had some tears when the seat belt light was switched on and she could no longer make faces at the people behind or race up and down the aisle, however I felt it was better than the previous attempt. It’s not the flight I find particularly hard. 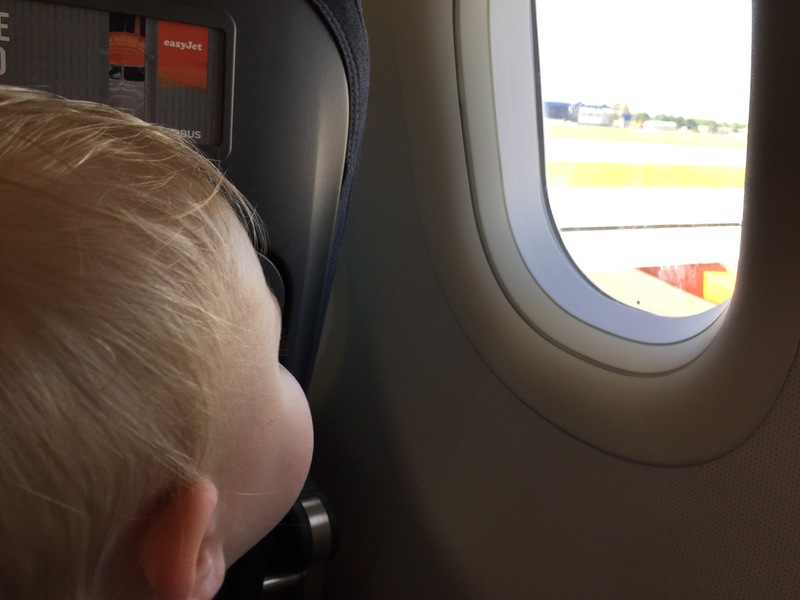 It’s all the planning that happens beforehand, the folding down of the buggy and emptying the case of any liquids at security and keeping a curious toddler in check when she is mesmerised by all the activity inside the terminal. So what’s my advice? Pack a bag full of food and distractions, only bring the buggy through to the gate if really necessary and where possible, fly with another adult who can clear up the carnage behind you!